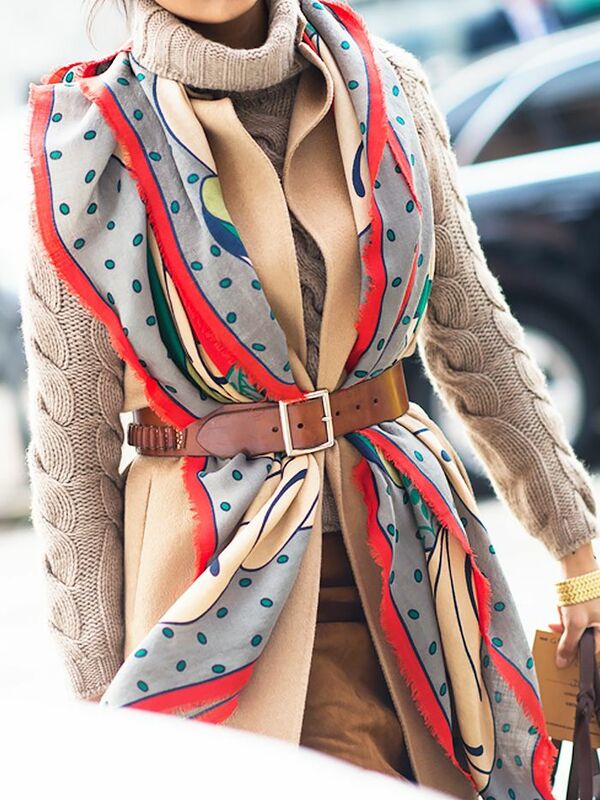 Combat the cold with a professional and comfortable look. Layer a pastel coat over a pair of straight-leg trousers, and finish off the ensemble with a black scarf, sheer tights, and on-trend sneakers. Are you a freelancer? What's your go-to look when it's cold out? Share with us in the comments!